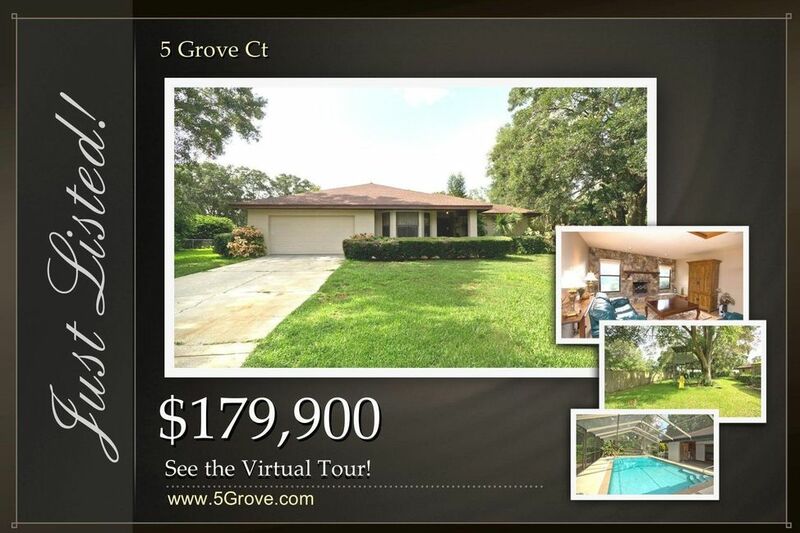 5 Grove Ct SE – Winter Haven, FL: We’ve just listed this S.E. WINTER HAVEN POOL HOME IN ESTABLISHED LAKE WINTERSET ACRES…This 3 bedroom, 2 full bath, 2 half bath home is ideally situated on a large cul-de-sac lot that is just shy of an 1/2 acre. At 2198 sqft of living area this home offers an inviting and spacious floor plan with plenty of room to move about. Layout includes a desirable split-bedroom plan, large great room with wood-burning fireplace, formal dining room, and a pool side breakfast nook. Kitchen takes full advantage of the pool views and offers a full stainless appliance package. Master suite has plenty of closet space and enjoys private access to the covered and screened pool lanai. The in-ground pool is full-sized as 15 x 30 and is the perfect place to relax or spending time with the family and friends. The backyard’s mature landscaped adds to the overall privacy and desirability of this property. All this and literally within walking distance to Legoland. Other features include an inside laundry, 2 car garage, irrigation system and much more!